Lets get together for and have a good time together at Camelot! We will meet at Camelot Fun Center at 6:30pm; we will play a game of mini-golf and arcade games. Also bring money for the snack bar if you would like. 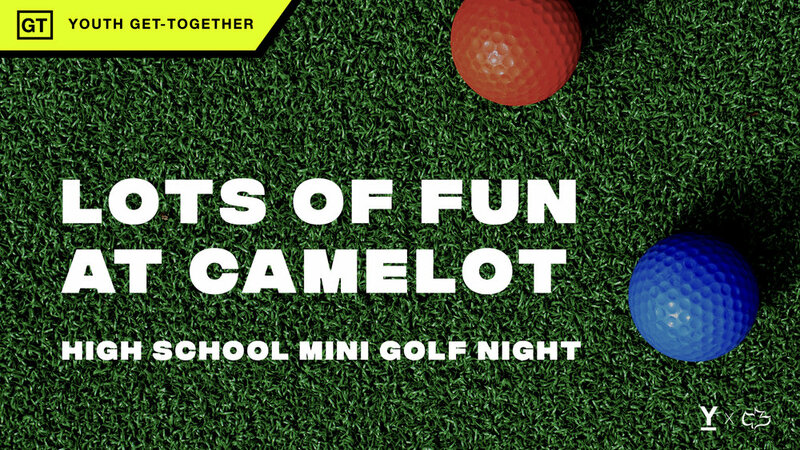 (We estimate: $15- $20 to cover mini-golf and a snack from snack bar) The night will conclude at Camelot to be picked up by 9:30pm. What’s the difference between a “Get-Together” and an “Event”? Get-togethers are activities that are simpler in nature that are just getting together to be with each other and build our relationships. Events are more complex activities that serve a variety of purposes from outreach, connections, relationships, etc…"
Would you like to stay in touch with what God is doing in our Calvary Chapel East Anaheim YOUTH?